The dream of Clarence Hill and George Henry was realized when on Sept. 11, 1899, they opened the doors of their new bank at 206 N. Franklin St. Hill came to the city from Manitowac, where he helped organize the First National Bank in 1894, and where he met George Henry, a local dentist and investor. Port Washington had no local banking services as bank failures were common and the time seemed right for their new venture. Undeterred by the great Wisconsin Chair Company Factory fire which nearly leveled the business district only two days after their bank site purchase, the partners proceeded with their plans with assurances from the city and the Chair Factory that the company and downtown would be rebuilt. Initially capitalized with $25,000, the Port Washington State Bank has grown to serve Ozaukee County through four locations. With assets of $200,000,000, it ranks in the top 20% of commercial banks as to size in Wisconsin. 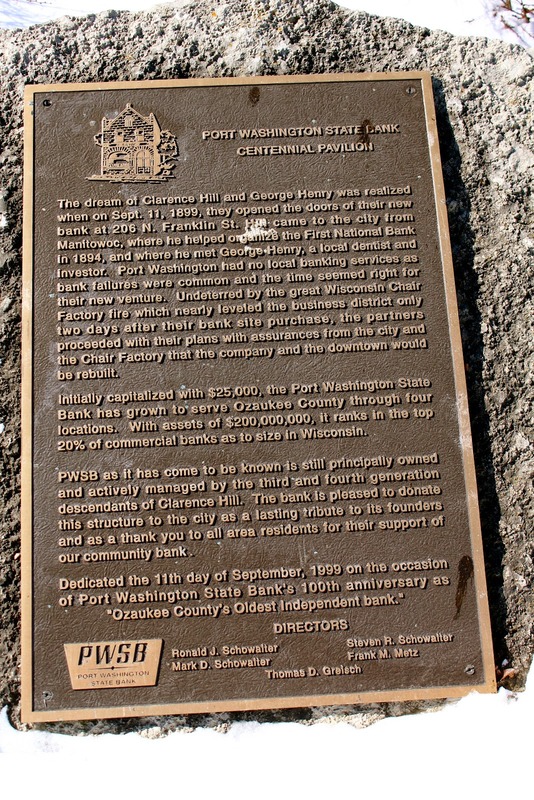 PWSB as it has come to be know is still principally owned and actively managed by the third and fourth generation descendants of Clarence Hill. The bank is pleased to donate this structure to the city as a lasting tribute to its founders and as a thank you to all area residents for their support of our community bank. Dedicated the 11th day of September, on the occasion of Port Washington State Bank's 100th anniversary as "Ozaukee County's Oldest Independent Bank". 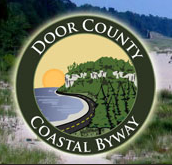 The marker is located at Rotary Park at the farthest east end of West Grand Avenue / Wisconsin Highway 32, Port Washington, Wisconsin 53074. (to the right of this entrance).